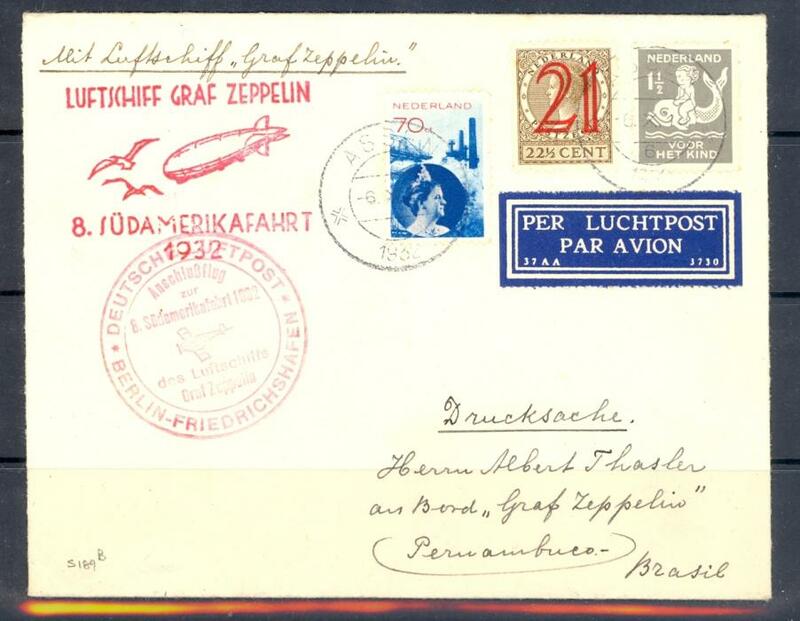 Picture shows the Graf Zeppelin over New York and the Sherry - Netherland Hotel. 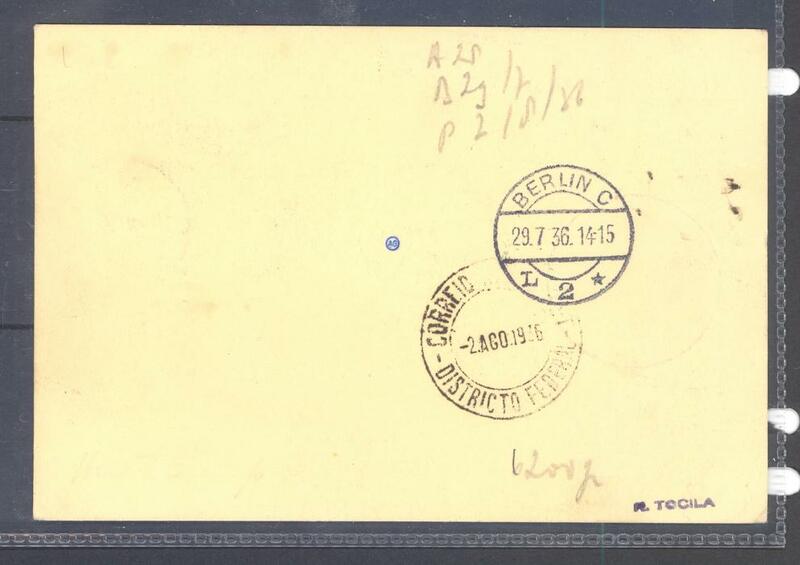 Inside is the third day on board supper menu. 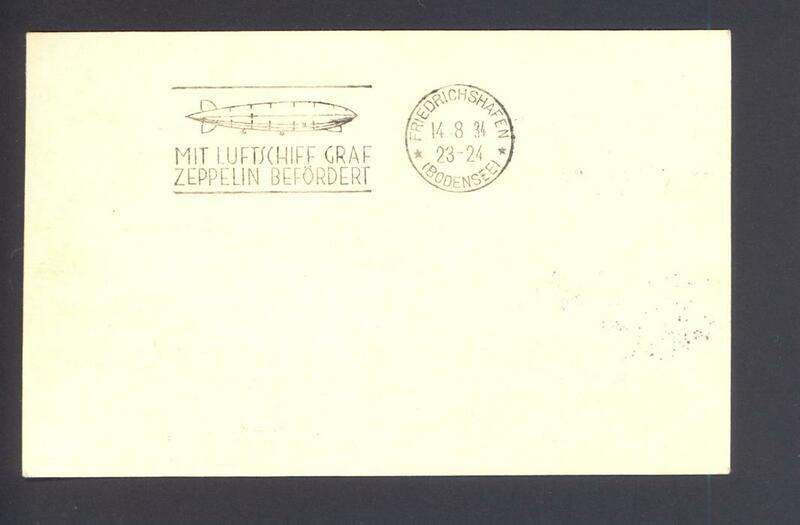 Zeppelin Sieger S 21 Germany 1928. 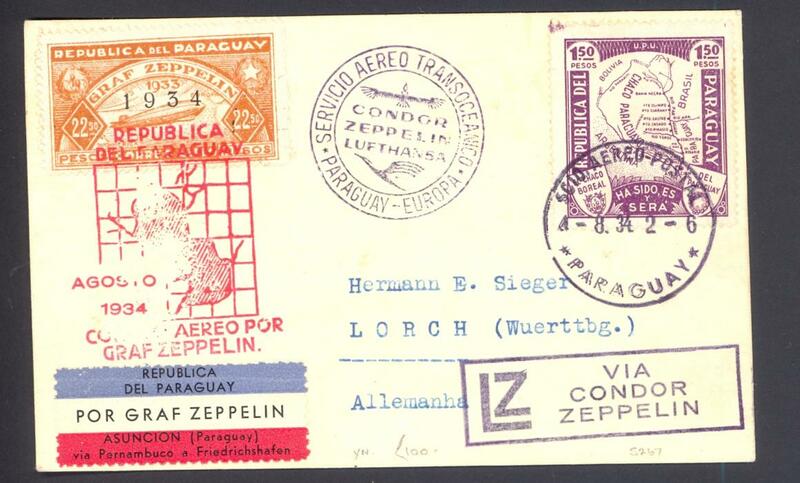 Flight LZ 127 to New York from Germany. 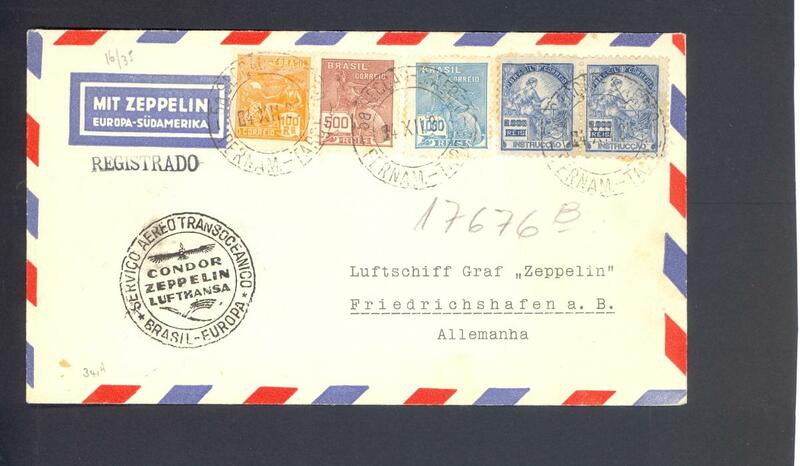 Franked 2 Mk Zeppelin. 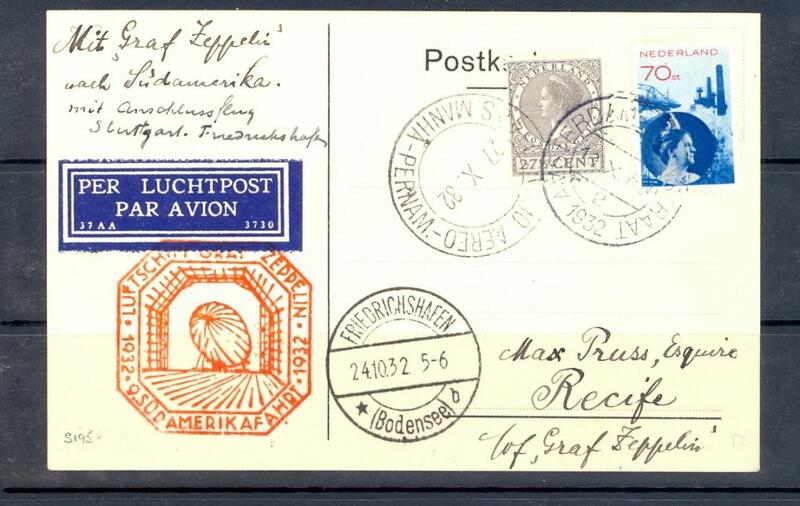 Franked 1 mk Air to Switzerland. 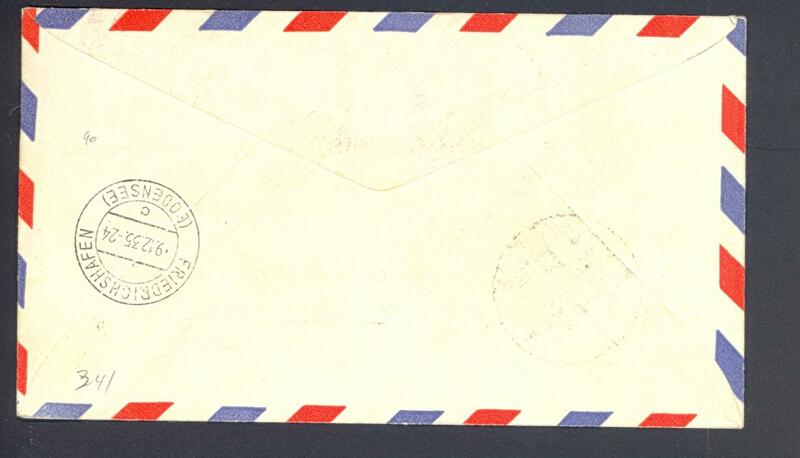 Southend on Sea 7th America Flight registered with a 1924 Wembley 1 1/2d stamp. 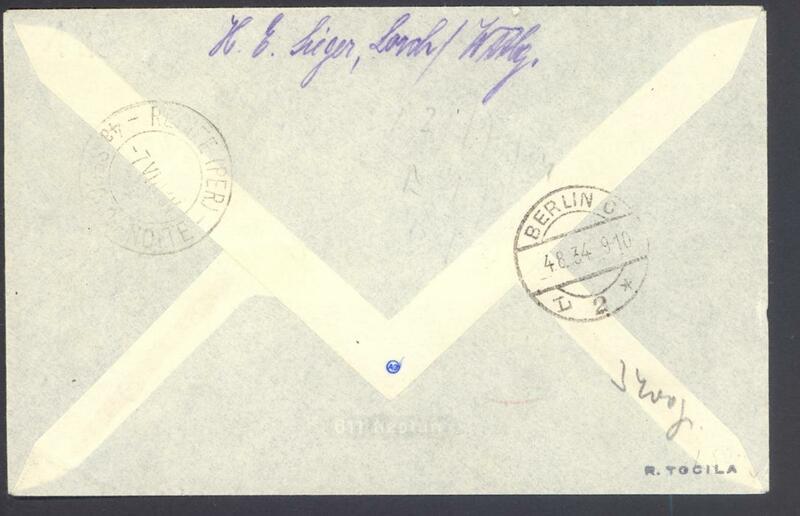 Showing unusual franking. 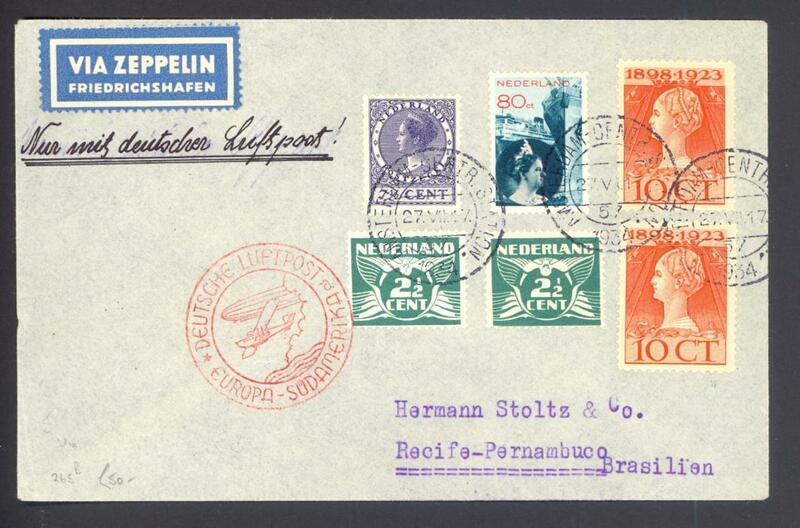 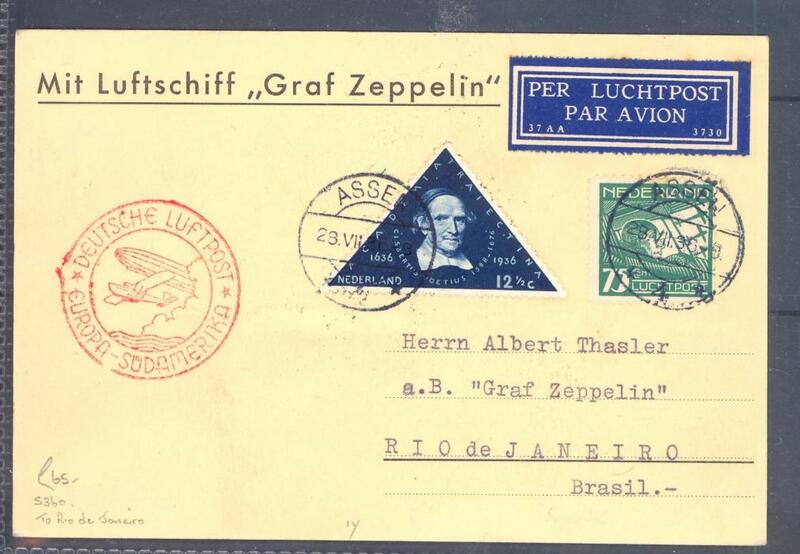 Zeppelin Sieger cat S 124 Hungry 1931 1st South America with Fine Air Franking.